Iran’s navy launches the Sahand destroyer which can sustain voyages lasting five months without resupply. Iran’s navy on Saturday launched what it said was a domestically made destroyer, saying it has radar-evading stealth properties, Reutersreported. In a ceremony carried live on state television, the Sahand destroyer — which can sustain voyages lasting five months without resupply — joined Iran’s regular navy at a base in Bandar Abbas on the Gulf, according to the report. The Sahand has a flight deck for helicopters, torpedo launchers, anti-aircraft and anti-ship guns, surface-to-surface and surface-to-air missiles and electronic warfare capabilities, state television said. “This vessel is the result of daring and creative design relying on the local technical knowledge of the Iranian Navy… and has been built with stealth capabilities,” said Rear-Admiral Alireza Sheikhi, head of the navy shipyards that built the destroyer, according to Reuters. The launch of the destroyer comes amid tensions between the US and Iran after President Donald Trump withdrew from the 2015 nuclear deal and reimposed sanctions on Iran. Earlier this week, Iran’s navy said it acquired two new mini submarines designed for operations in shallow waters such as the Persian Gulf. The two Ghadir-class submarines have sonar-evading technology and can launch missiles from under water, as well as fire torpedoes and drop marine mines, Iranian media claimed. Iran often boasts of its military accomplishments, but the veracity of those claims is unclear. Last week, a commander in the Iranian Revolutionary Guards threatened US bases in Afghanistan, the UAE and Qatar, as well as US aircraft carriers in the Gulf. These bases, he said, are within range of Iranian missiles which have a range of 700 km (450 miles). The same official, Brigadier General Amir Ali Hajizadeh, claimed last year that Iran is in possession of what he described as the “father of all bombs” – a domestically-made 10-ton bomb with a high destructive power. 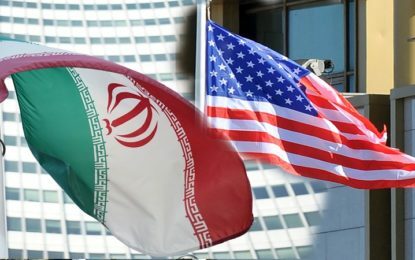 Mar 14, 2019 Comments Off on Is a War With Iran on the Horizon?